The stage is set for the upcoming Indian Super League(ISL)football tournament which would kick-off from September 2014. 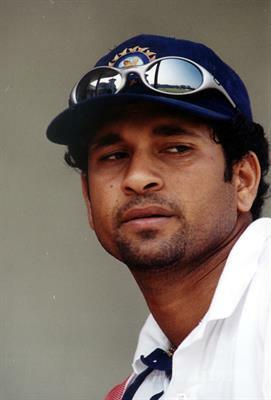 Cricket legend Sachin Tendulkar along with PVP ventures won the bid for the Kochi franchise. Sachin expressed his happiness and added that the Indian Super League would provide a great opportunity to develop a platform for the youngsters to discover and improve their talent to develop into exceptional players. PVP ventures Ltd which has shown its presence in real estate, media and entertainment too find it a proud moment to own the Kochi team. They too are looking forward for developing the Kochi club and also proud to partner with one of India's greatest sportsmen, Sachin Tendulkar. They find this as a fertile opportunity to execute plans and influence global expertise to develop Kochi as a world class club. Other team owners include Bollywood actors Ranbir Kapoor, Salman Khan and John Abraham and former cricketer Sourav Ganguly too bagged the ownership rights of different franchises. The eight cities which would host teams are Bangalore, Chennai, Delhi, Goa, Kochi, Kolkata, Mumbai, and Pune. It is expected that the Indian Super League (ISL) would revolutionize Indian football. The tournament would feature some yesteryear international stars playing with Indian footballers. Hernan Crespo, Robbie Fowler, Thierry Henry, Robert Pires, Fredrik Ljungberg and Dwight Yorke may be seen in action in the ISL. Sourav Ganguly, along with businessman Harsh Neotia, Atletico Madrid and Siddharth Goenka won the bid for the Kolkata franchise. Meanwhile John Abraham teamed up with Shillong Lajong FC to buy the Guwahati franchise Ranbir Kapoor, along with Bimal Parekh won the ownership of Mumbai franchise while Salman Khan joined with the Wadhwan Group got Pune franchise in their pocket. The Bengaluru franchise went to Sun Group and the bid for Delhi franchise went to Sameer Manchanda. The Goa franchise will be owned by Videocon, Dattaraj Salgaocar and Shrinivas V. Dempo. The ISL is managed by IMG-Reliance which is the commercial partner of the All India Football Federation (AIFF). The league matches will be telecast live in Star India network channels.